Wilderness therapy in winter offers therapeutic value and unique opportunities for growth, especially at Aspiro. Not only is winter in Utah incredibly beautiful with the views of snow-capped landscapes, but a Utah winter also provides students with diverse environments and allows them to accomplish things they never thought possible. Living in the winter elements provides students with a boost of confidence, greater resilience, and an increase in self-efficacy. 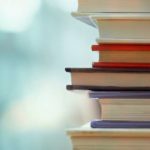 Research indicates these qualities translate into a strong belief in the ability to do hard things. Once a student moves on to the next step following Aspiro, this belief stays with them; whether it be the confidence to tackle an algebra class, to communicate with a peer, or to be emotionally open and vulnerable with a parent. Aspiro’s priority is ensuring the safety of students throughout the year, and especially during the winter months. 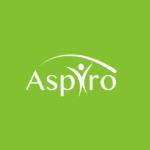 Maintaining the highest standards of risk management is crucial to the Aspiro team. 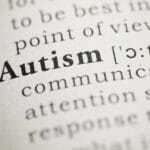 There are many protocols in place that apply to different aspects of the program. Below are some areas where there is an additional focus in the winter months. Students also have insulated winter hiking boots and over-boots. Students are given a -20-degree sleeping bag plus two insulated sleeping pads in order to protect them from feeling cold at night. The specialized gear, a student’s body heat, and the heat from the others in the shelter provide a cozy place to sleep. Also, students spend a few hours each week at the field office near Aspiro’s base camp, where they take warm showers and get freshly laundered clothes for the new week, ensuring they have clean and dry clothes available. All gear is regularly assessed and replaced or repaired as needed, in order to ensure that all students are comfortable and warm. In addition, students are taught to properly care for and pack their gear so it stays dry, as well as how to wear the right layers in the correct order, to ensure warmth. Field staff teach the students to first use a wicking layer next to their skin to help move moisture away from their bodies. Second, they put on on an insulating layer to keep that heat trapped in, and lastly, they have a waterproof layer to keep out moisture and wind. It’s a science! In addition to quality clothing and gear, another utilized practice for staying warm is engaging in warm-up exercises first thing in the morning, throughout the day, and before bed, in order to keep blood circulating and the body’s core temperature high. Being proactive and getting moving is the best way to stay warm. To supplement physical movement and activity for warmth, each student and staff member has a stove that heats water efficiently. They then put this hot water in water bottles and keep them next to their bodies under their layers of clothing, or in their sleeping bags at night. This hot water, which can be made quickly and often, is also used for herbal tea and to make warm meals. Students also utilize fires and wood burning stoves to stay warm. Army grade tents are available while at base camp, and each of these has a wood burning stove inside. Students spend time in these tents doing activities, eating meals, participating in therapy, group activities, and receiving safety checks. Each tent is equipped with thermometers in order to monitor the temperature, as well as carbon monoxide detectors and smoke detectors. 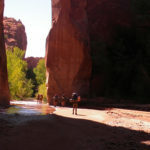 One of the most unique aspects of Aspiro is the ability to utilize many environments throughout the state of Utah, ranging from the mountains in the North to the warm desert climate down South. 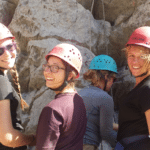 Taking into account the therapeutic objectives for each group, as well as weather conditions, Aspiro has the flexibility to send students on various adventure itineraries throughout the state of Utah. 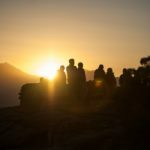 These can range from mountain biking on the red rock terrain in the warmth of the St. George desert, to skiing in the fresh snow up in the mountains of Sundance, Utah. During the winter month’s Aspiro dedicates considerable time to warmer itineraries down South such as mountain biking, rock climbing, hiking, and canyoneering. Although Aspiro often utilizes the warmer desert climate during the winter, there is great therapeutic value in the cold weather adventure itineraries as well. These winter itineraries create a great sense of confidence as students learn to care for themselves in more difficult conditions, learn to plan ahead and ensure they are prepared, recognize they have the tools and equipment to stay warm and safe and gain confidence from their ability to manage the winter elements. Another important part of wilderness therapy in winter is learning to reframe snow and winter as an opportunity for peace, enjoyment, and learning. Students often report that some of the winter adventure itineraries are their favorites. Winter presents its own beautiful twist on the scenery and allows students to access incredible places in Utah that might be overpopulated in the spring or summer. 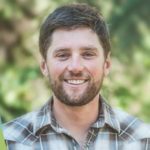 This allows them to take full advantage of the solitude and peace that comes from the lack of other visitors while snowshoeing on untouched trails, or backpacking amidst the quiet landscape. In addition to snowshoeing and backpacking, skiing is a favorite winter adventure. 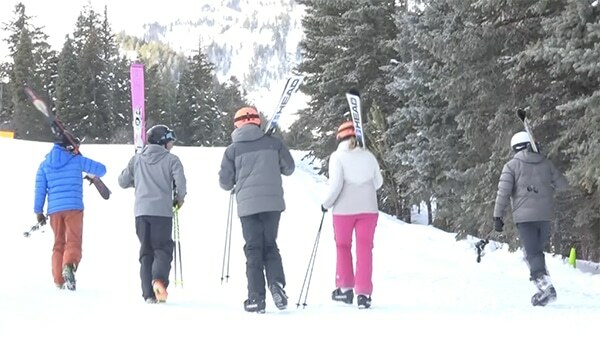 Not only is skiing an enjoyable activity, but in addition, students gain skills such as awareness of self and others, physical strength and coordination, and an ability to find great emotional reward as they get into the state of “flow”. Flow Theory stems from positive psychology, and is the state of mind where one is focused completely on the moment and is fully “in the zone”. In this state of flow, there is a feeling of being more present than ever, losing oneself completely, and being intensely focused. Being in a state of flow helps students learn to alleviate anxiety and stress in life as they practice getting into this mindful place. Aspiro’s vehicles are regularly inspected and all have high-quality all-terrain tires, as well as tire chains available to use as needed. Each vehicle is also equipped with a tracking device, allowing the field leadership team to know where all vehicles are at each moment, as well as exactly how each driver is doing. This helps ensure the safety of both guides and staff. All staff also go through a DDC professional driving course and must have a clean driving record in order to be eligible to drive Aspiro vehicles. There is also great flexibility in the Aspiro program that allows a group to drive out to a different area to camp or facilitate a therapeutic adventure if driving conditions are deemed unsafe by the risk management team. Aspiro guides complete hand and foot checks on every student at a minimum of 3 times a day, and check to ensure there are no injuries or blistering. During these checks, extremities are closely evaluated and the warmth and comfort of each student is confirmed. This close evaluation is in addition to the constant safety monitoring of every student that takes place 24 hours a day. The guides call into the leadership team twice per day to report on each student and have access to the Registered Nurse or EMT 24/7 as needed. Aspiro’s medical team also has access to a Medical Doctor at all times. In addition to guides completing safety checks of the students, students also complete regular hand, foot, and face washing to ensure cleanliness and safe hygiene. Students are also physically evaluated once a week by a member of the medical team, and each student is analyzed by a Body Composition Analyzer, which reports to the team a student’s weight, body fat percentage, body mass Index, and skeletal and muscle mass. Aspiro’s medical team uses this information to gauge each student’s individual diet and to ensure they all are getting the proper amount of calories, nutrition, and exercise. In the winter, students receive additional food that has a higher fat content in order to ensure more caloric intake. Foods denser in calories take longer to metabolize, thus increasing overall body warmth. Because winter temperatures can require more energy to manage, a higher calorie diet also helps offset this. In addition to fresh fruits and vegetables, students eat nuts, peanut butter, canned salmon, canned tuna, rice, beans, cheese, oatmeal, and more, in order to get the calories and energy needed. Staff monitor food and water intake closely to ensure that students are getting the nutrition and hydration they need. Aspiro’s Operations Team is continuously monitoring weather on a daily basis. They use weather predictions and patterns as part of the information gathered when they plan the weekly schedule for students. Guides that are out in the field communicate with the Operations Team and on-call leadership members at least twice a day. During this call, the guides are updated as needed, regarding weather conditions so they can make any changes necessary to their daily plan. Students do not engage in activities outside of the campsite if temperatures drop below 10 degrees. Instead, at that point, they stay at camp and keep warm by engaging in warm-up exercises and doing activities by the wood-burning stoves or by a fire. Aspiro guides are taught to empower students with the information they need in order to live safely in the wilderness and to manage various temperatures and environments. These staff are trained on various topics in numerous areas and attend mandatory training on a weekly basis. The training for winter includes how to build winter shelters, how to implement emergency heat wraps, first aid, how to respond to any cold weather emergency scenarios, how to monitor for winter safety, and more. Aspiro’s medical team, a Registered Nurse, an EMT, and a Medical Doctor, are on call 24/7 and available to answer any questions that guides may have while in the field. Aspiro guides are certified or working toward certification as Wilderness First Responders (WFR), which is the nationally recognized standard in wilderness medicine and provides education on the best practices for risk mitigation. A WFR certification typically requires 72-80 hours of classroom training and practice and includes a written and practical exam. Throughout the year, and especially during the winter at Aspiro, a great amount of time and effort goes into ensuring the quality of programming, the availability of high-quality gear, the training of staff, a healthy diet, and overall safety. The attention to detail and safety in these areas adds to an impactful wilderness experience. The joy that comes when completing a winter adventure, the peace attained through the serenity of the quiet landscape, and the additional opportunities for growth that are found during the snowy adventure itineraries all lead to a powerful and life-changing experience.